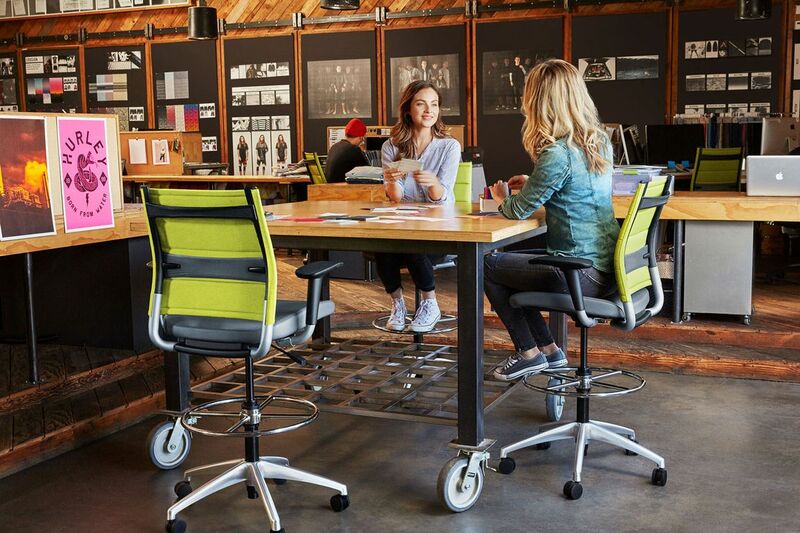 Office furniture isn’t exactly like milk spoiling in the refrigerator, but it’s not entirely unlike that futon you couldn’t live without after college. There’s a fashion element that goes out of style and a functionality that recedes as time marches on. 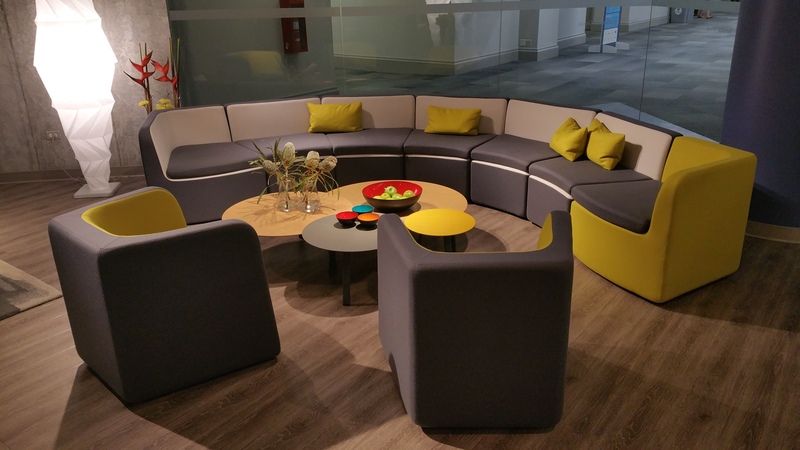 If you want clients’ first impressions to be favorable and for employees to feel satisfied and productive in the office, you have to let go of the figurative futon and the literal outdated office furniture. The company you run should show respect for itself and its customers by upgrading old furniture. Let’s start with your clients. You really want them to like you. If it were up to you, they’d think you were the very best at what you do and that no one compares. In addition to doing the very best at whatever it is that you do, you have to look the part. Furniture that looks like it had its best day back in the early 2000s is going to leave people wondering if maybe 1) they walked into Dunder Mifflin, and 2) you don’t care enough to invest in your business. The company you run should show respect for itself and its customers by upgrading old furniture. Let them know you’re invested in their future and yours. Who would have thought that furniture needed to keep up with technology? Most people, if you gave them time to think about it. From TVs and record players to telephones and lamps, furniture design evolves as technology advances. This is exceptionally true in the workplace. Not long ago, office desks were large in order to accommodate bulky monitors and clunky keyboards with wired mice. 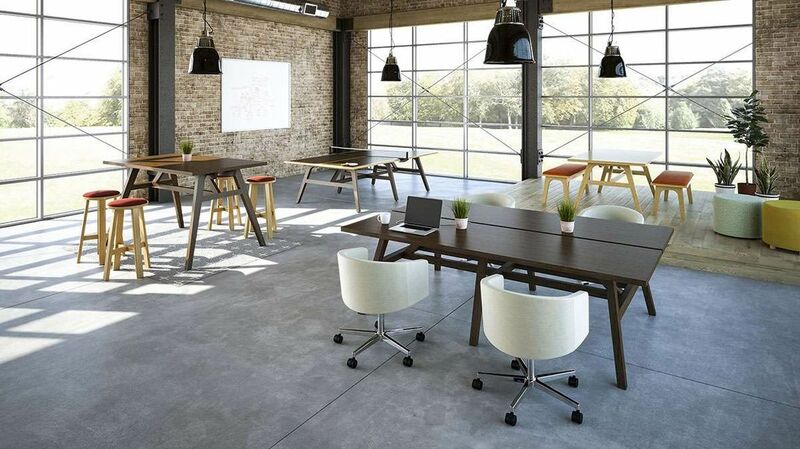 These days, desks are made to integrate with technology, and as a result, they look sleek, minimal, and modern. 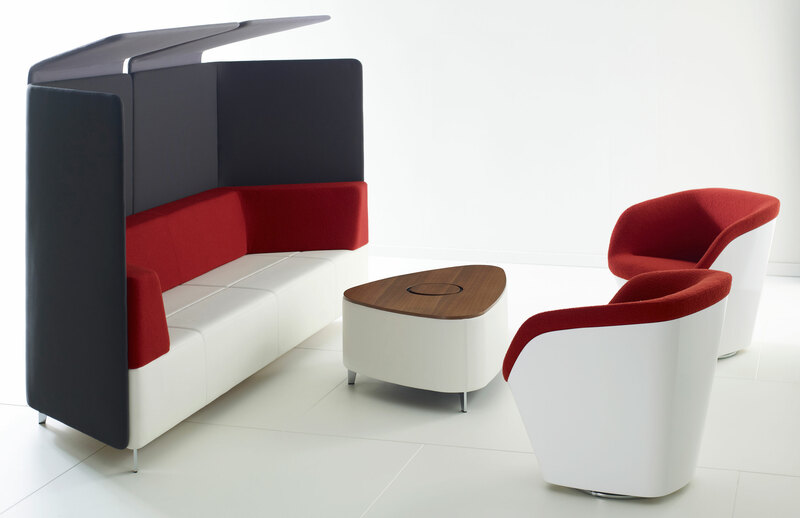 Innovations like this lead to creative trends such as collaboration furniture which fosters teamwork and an overall sense of community. These days, desks are made to integrate with technology, and as a result, they look sleek, minimal, and modern. If you haven’t updated your furniture in a while, there’s a good chance that your chairs and desks aren’t ergonomically designed. It’s estimated that $1 of every $3 spent on workers’ compensation stemmed from ergonomic issues. That’s a significant impact on your bottom line if someone files a claim. Purchasing sit and stand desks and adjustable chairs is an expensive upfront cost, but one that will pay for itself in the long run. You’ll have employees who know you care about them and workers who stay healthy on the job. Your employees know when you care about the company and when you care about them. When you don’t invest in either, why should they invest in you? Keep workers engaged, happy, and productive by making your company responsive to changing times. 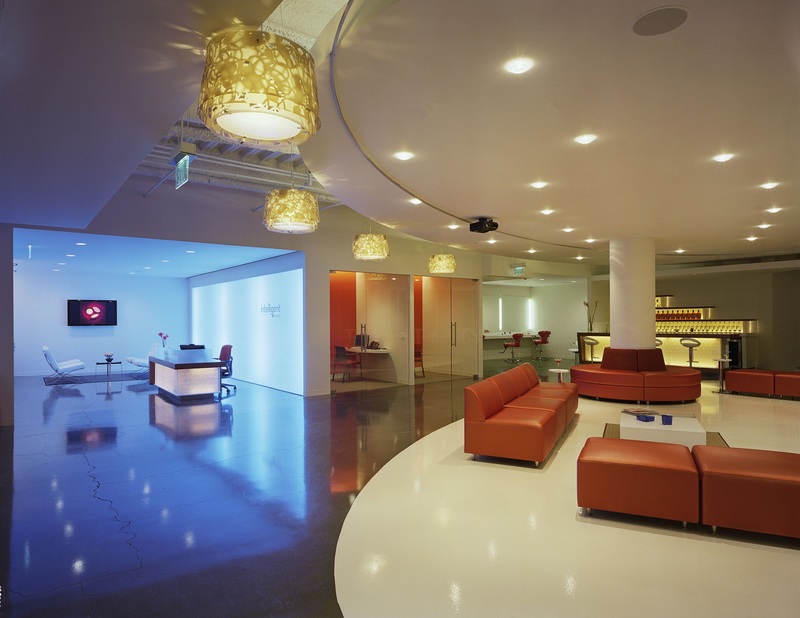 Purchase office furniture that works for today, tomorrow, and for them. You’ll have loyal and productive employees who serve as ambassadors for your business and brand – and that’s money well spent. Keep workers engaged, happy, and productive by making your company responsive to changing times. It’s not necessary to go out tomorrow and outfit the entire office with brand new desks, chairs, and conference tables. Start slowly and smartly with select pieces that show you’re in the update game. Whatever you do, just remember that at some point someone encouraged you to get rid of that beloved futon, and you did. You can do this, too.